Dubai, UAE, 7th May 2015: The prestigious World Travel Awards, Middle East, 2015 has voted The Oberoi, Dubai as the ‘Middle East’s Leading Luxury City Hotel’ for the second year in a row at a ceremony held in Dubai, UAE on 5th May, 2015. Hailed as ‘the Oscars of the travel industry’, World Travel Awards celebrates its 22nd anniversary this year and is acknowledged across the globe as the ultimate travel accolade. The Oberoi, Dubai is part of the internationally famed Oberoi Group and represents its first property in the UAE, opened in June 2013. The title is the latest addition to the hotel’s collection of awards including Best New Business Hotel by the readers of Business Traveller Middle East 2014, Favorite New Overseas Hotel by Conde Nast Traveller India 2014 and TripAdvisor Travellers’ Choice Awards, 2014 & 2015. About The Oberoi, Dubai Located at The Oberoi Centre, The Oberoi, Dubai is a contemporary luxury hotel that embodies height, light and space. 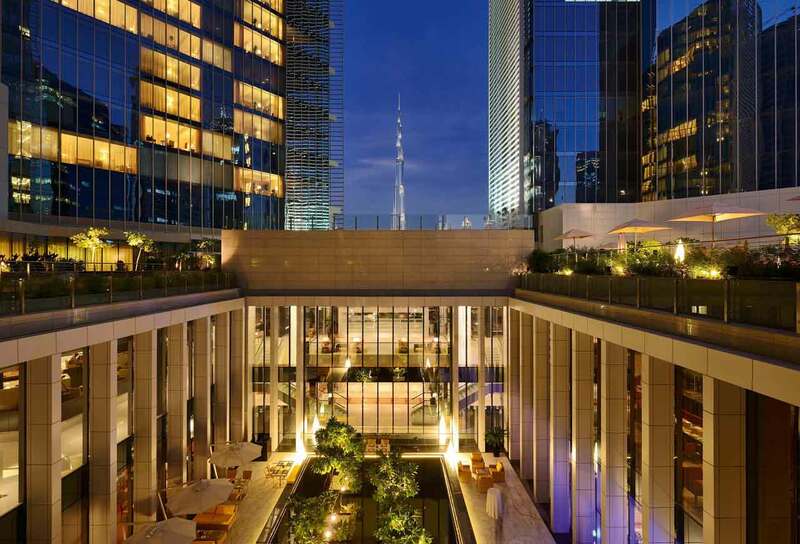 The hotel overlooks the iconic Burj Khalifa and each of the 252 rooms and suites have floor to ceiling windows which afford spectacular views of the city’s skyline. The hotel enjoys a central location and is a few minutes’ drive from Downtown Dubai and The Dubai Mall. About The Oberoi Group The Oberoi Group, founded in 1934, operates 30 hotels, a Nile Cruiser and a Motor Vessel in the backwaters of Kerala under the luxury ‘Oberoi’ and five-star ‘Trident’ brands in India, Egypt, Mauritius, Indonesia, Saudi Arabia and The United Arab Emirates. The Group is also engaged in flight catering, managing airport restaurants, travel and tour services, car rentals, project management and corporate air charters.